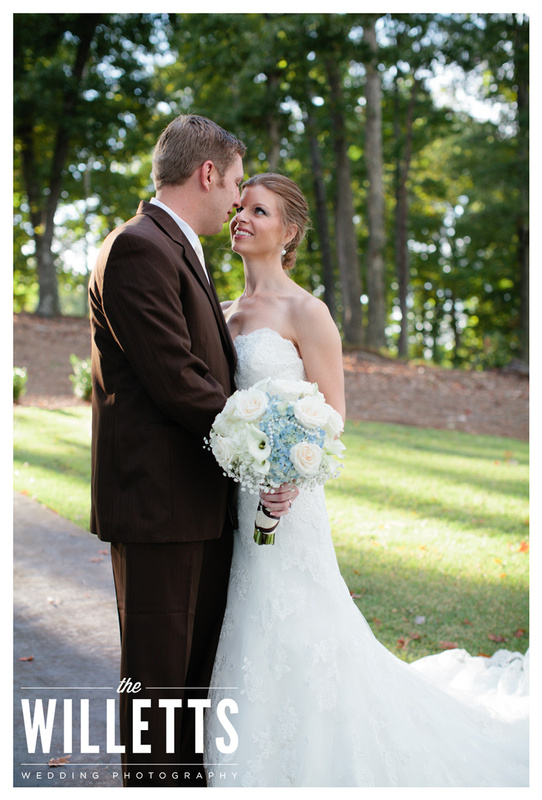 Katie and Evan had a gorgeous Fall Wedding held at Lake Lanier Islands Resort, Legacy Pointe. 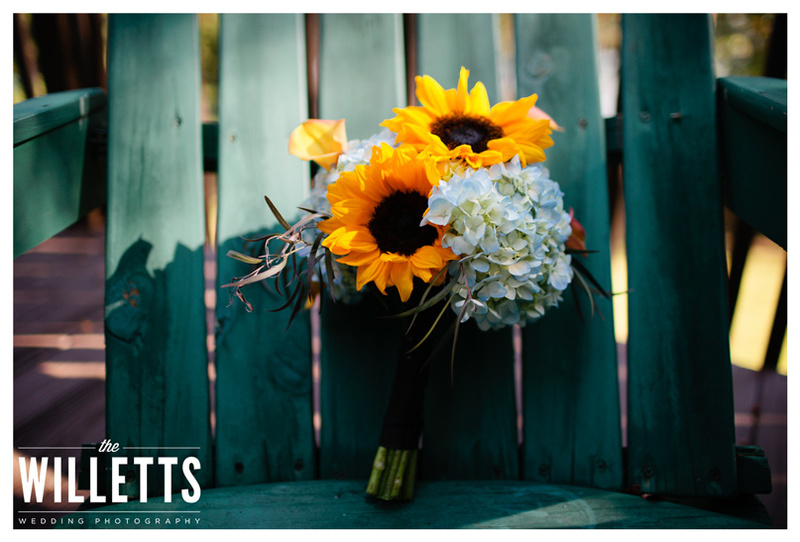 Katie’s Bouquet was arranged with Vendela Roses, Blue Hydrangeas, Sunflowers, and Mini Calla Lilies wrapped in ivory satin with a chocolate braid. Elegant yet perfectly simple. 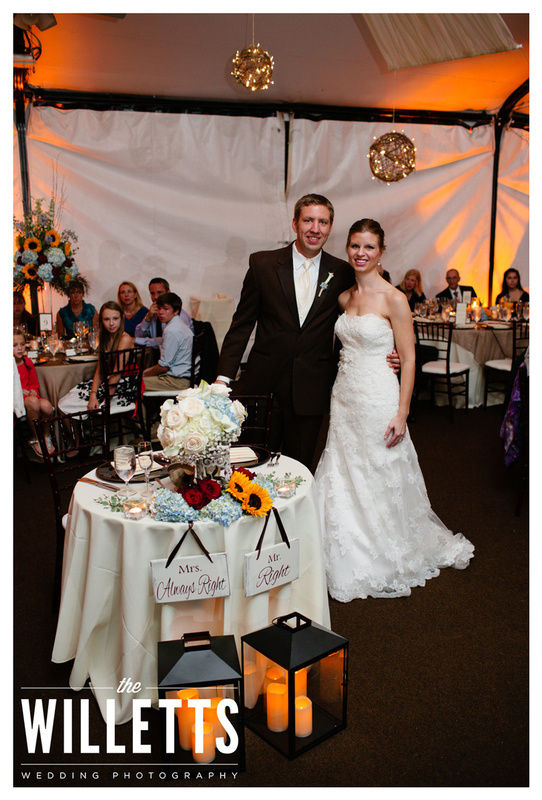 Smokey blue colors dominated this serene outdoor ceremony. 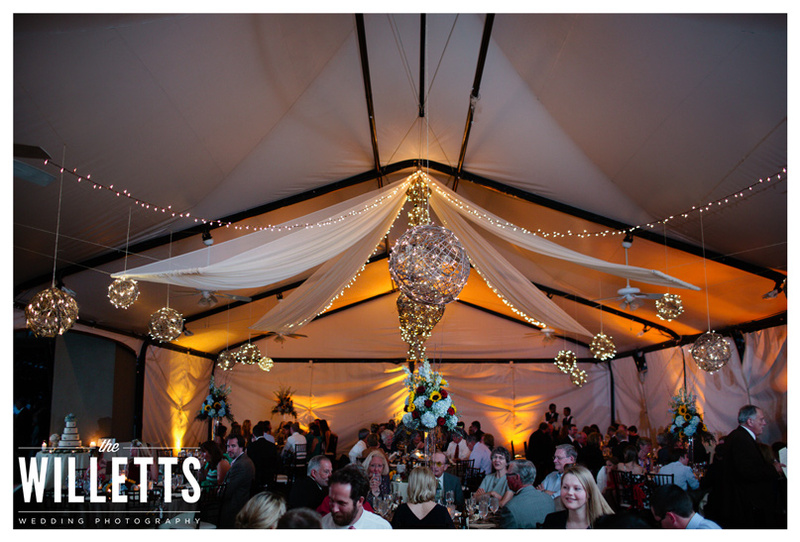 Golden lit grapevine balls twinkling underneath the Legacy Pointe tent awaited this happy couple as they celebrated this magical evening with family and friends! 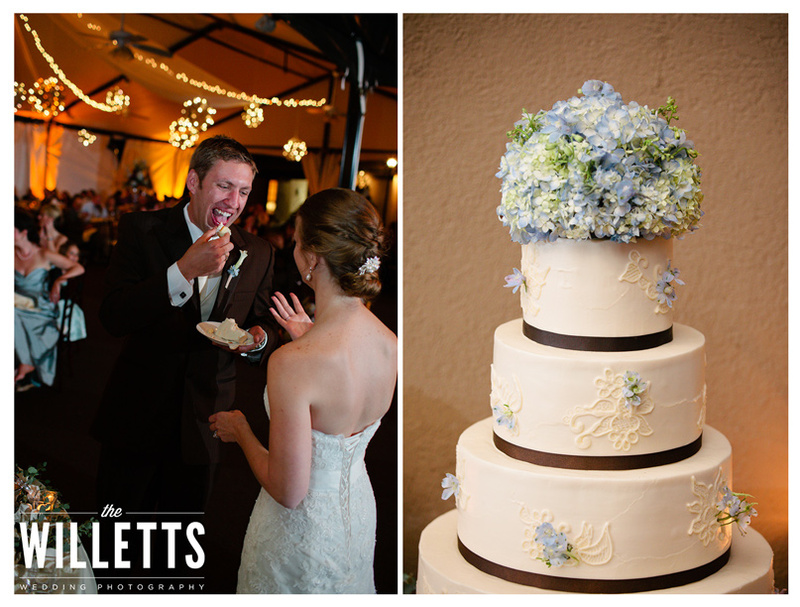 Enjoy these photos by Willett Photography.